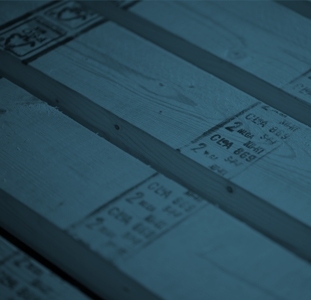 Montreal, Qc, January 19, 2017 – EACOM has successfully completed the installation of a new Lumber Grading system in the Elk Lake planermill. 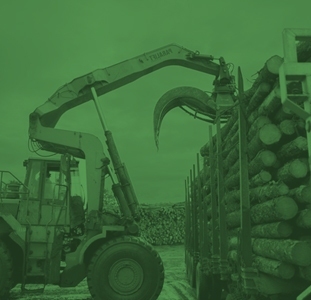 The equipment was manufactured by Autolog, Inc, a Quebec company and features the latest technology in lumber grading. With this recent project, the replacement of the two sawing lines and edger, as well as the reconfiguration of the co-products handling system, EACOM has invested over $13 million into the Elk Lake Sawmill since 2012. EACOM has a strong focus on continuous improvements and is committed to maintaining competitive operations to position the Company for resilience and growth. 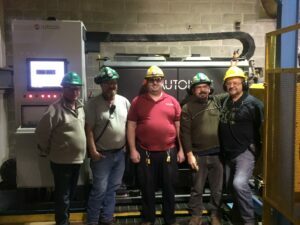 From left to right – EACOM’s Gary Lafrance , Kevin Aitchison, Dave Warren, Hubert Giroux, Serge Julien in front of the new Autolog lumber grading system.